If you live or travel in the United States, you’ve probably heard of Ann Arbor, Michigan. But, did you know there is another college town only 7 miles east of the University of Michigan’s main campus? Home to Eastern Michigan University, Ypsilanti shares quite a bit in common with its Washtenaw County neighbor. Both college towns are artsy and LGBTQ-friendly destinations. 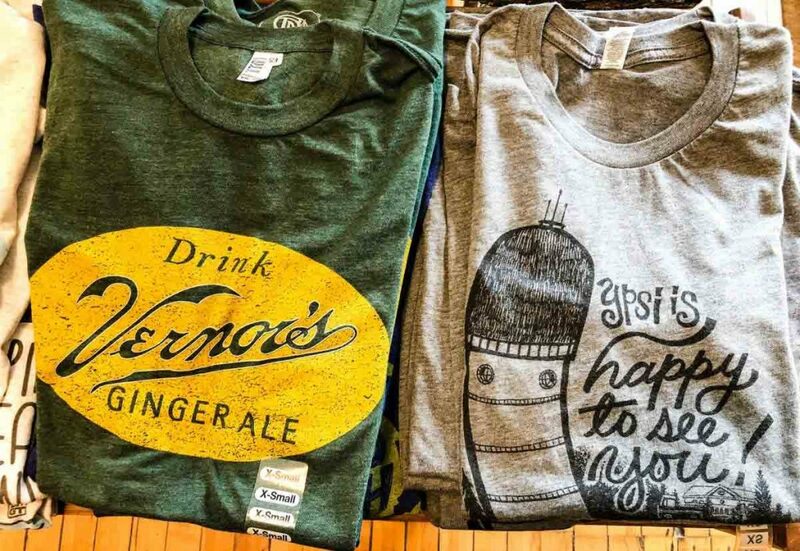 Like Ann Arbor, Ypsi — as we shorten it in Michigan — also has a multicultural population, fun annual festivals, local parks and trails, one-of-a-kind boutique shops, and foodie-approved dining. Yet, with a population just over 21,000 as of the 2010 Census, Ypsilanti is considerably smaller. Perhaps that is why I felt such a strong sense of community among the local businesses and restaurants I recently visited. I have to thank Ypsi Real for introducing me to Ypsilanti’s local small businesses. That was vital to the field research put into this blog post, which has been created in partnership with Ypsi Real and the women’s travel network Wanderful. 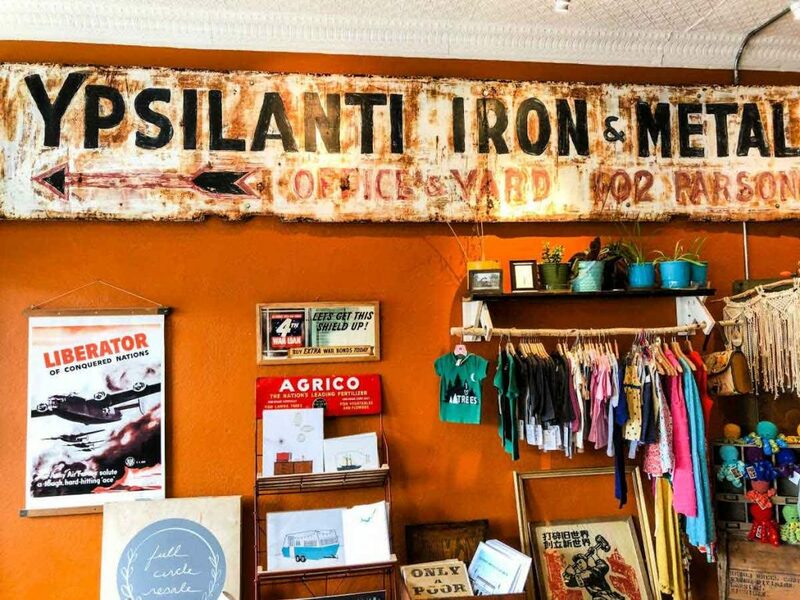 As you read on, you’ll see Ypsilanti offers boutique and vintage shopping as well as delicious food and craft beverages. 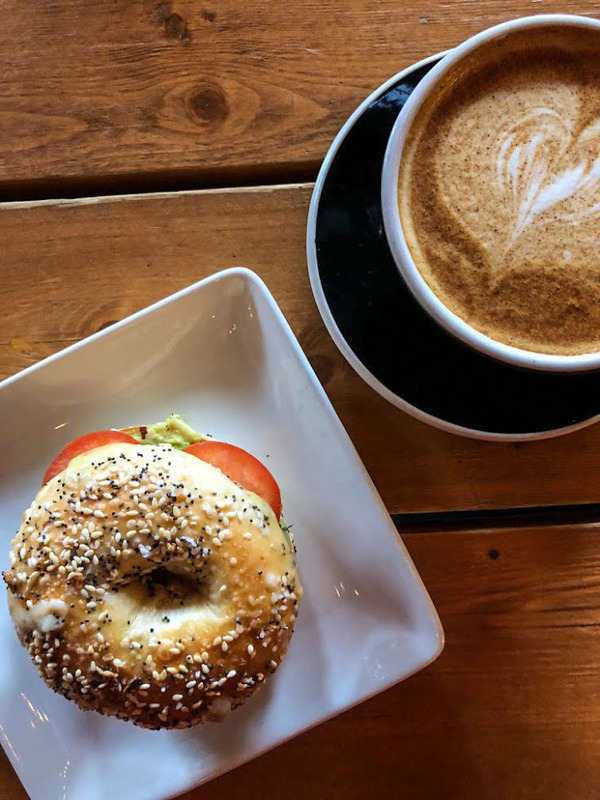 You can click here for even more ideas on where to eat or things to do in Ypsilanti, but here are my suggestions of where to spend a day in Ypsilanti, Michigan. 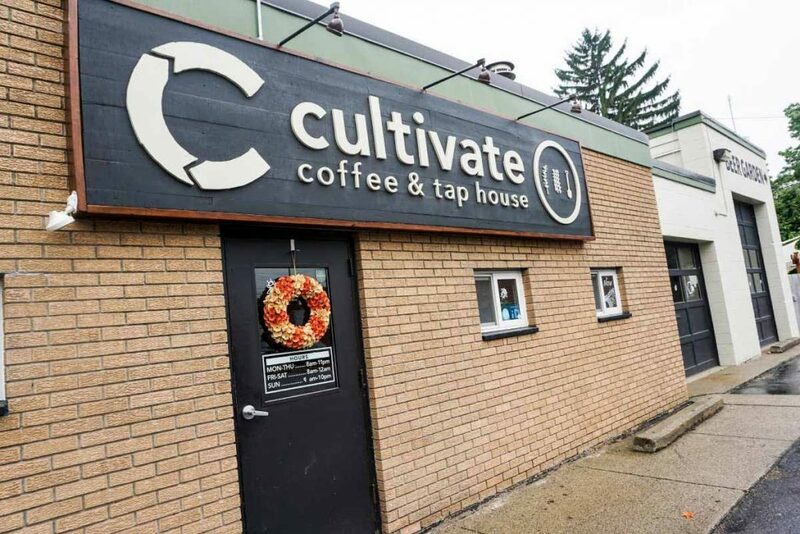 When visiting Ypsilanti, I would start at Cultivate Coffee & TapHouse. Why? Well, as a coffee drinker, I always appreciate when coffee shops carefully source the coffee they serve. 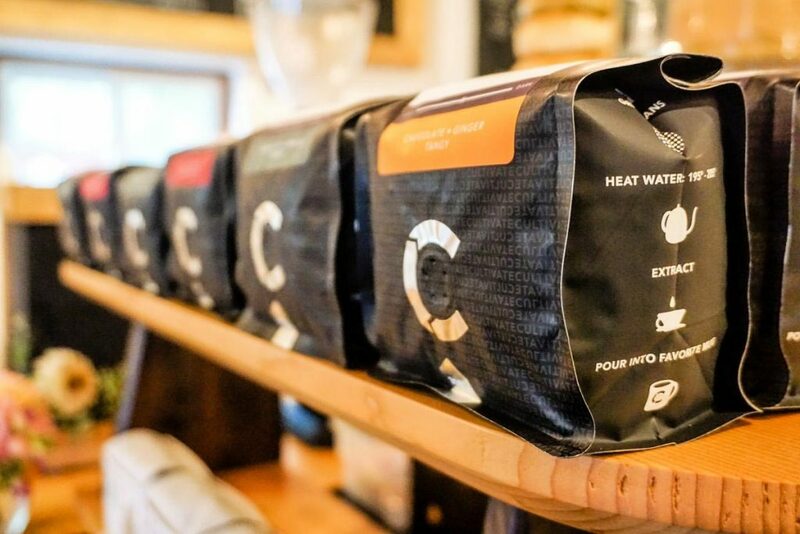 At Cultivate, you will know your coffee is ethically sourced — whether you prefer single-origin pour-overs or one of the hand-crafted specialty espresso-based drinks. 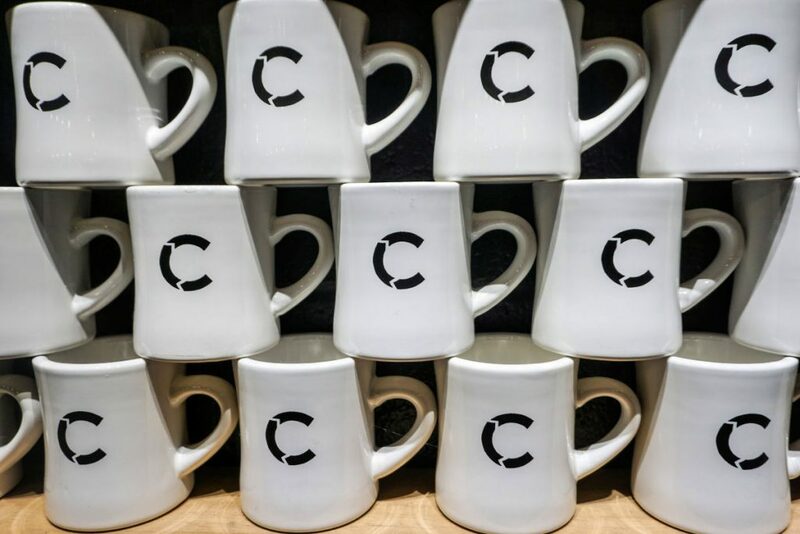 Not only is Cultivate one of the most unique coffee shops in the Ann Arbor area, it also helps the local community. For example, fresh produce grown in Cultivate’s garden is donated to local food pantries and other organizations dedicated to ending hunger. I would definitely recommend pairing your coffee here with a bagel sandwich. The sandwich I had was an everything bagel with an avocado spread and thinly sliced tomato. It was delicious as a light lunch, but I also would order it for breakfast any day. 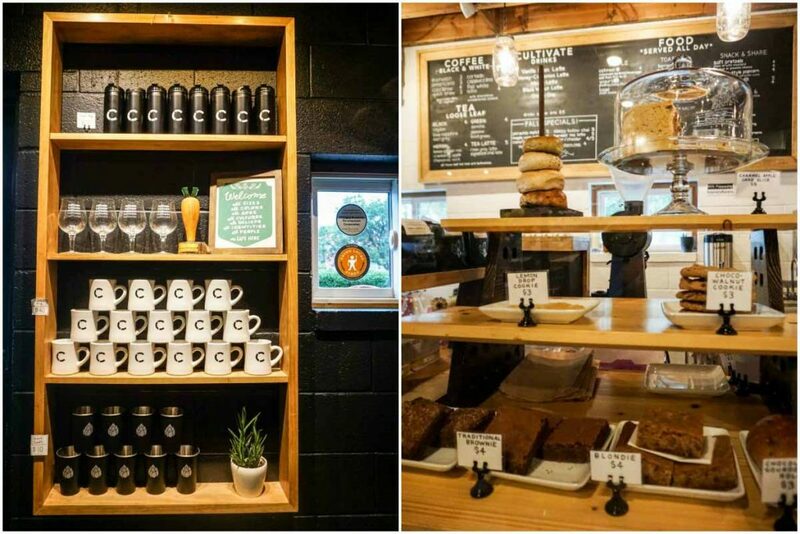 In addition to the bagels, coffees, and teas, Cultivate offers a variety of baked goods. When I visited, I had the most delectable slice of cake topped with the smoothest buttercream frosting from Zingerman’s Bakehouse, based in Ann Arbor. It was heaven on a plate, guys. 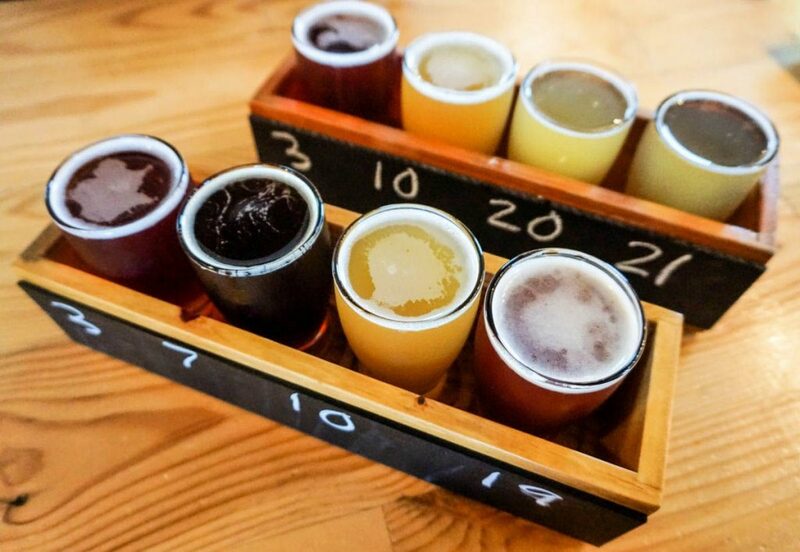 Later in the day, you might even pair your dessert with a craft beer flight like I did. You could also take your pint out to the beer garden during the warm months from late spring to early fall. Though the beer isn’t brewed onsite, Cultivate partners with craft breweries around Michigan to create exclusive beers. Raspberry Ale — a sweet and fruity beer created with Perrin Brewing Company in Comstock Park, Michigan. Chaco’s Brown — an American brown ale created with Ellison Brewery + Spirits in East Lansing, Michigan. Deliciously Different — a double dry-hopped American wheat ale with stone fruit flavors created with Drafting Table Brewing Company in Wixom, Michigan. 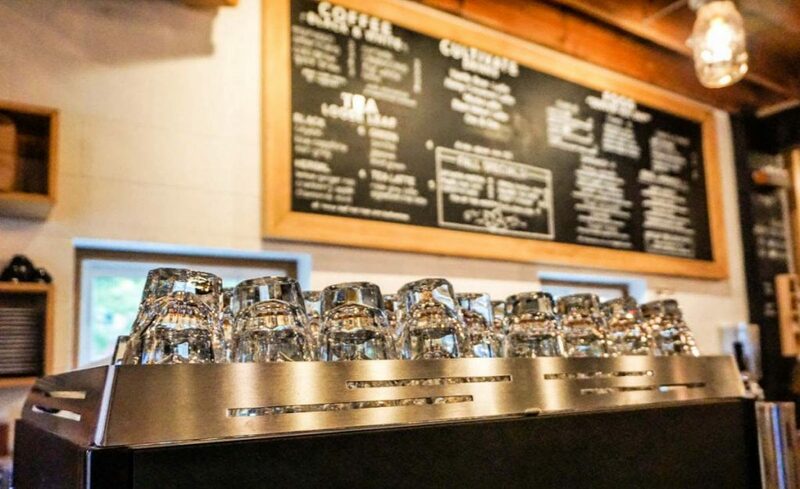 Cultivate Coffee & TapHouse is located at 307 North River Street. Anchored by East Cross Street, Ypsilanti’s historic Depot Town is a shopping and dining district first established in the mid-1800s. 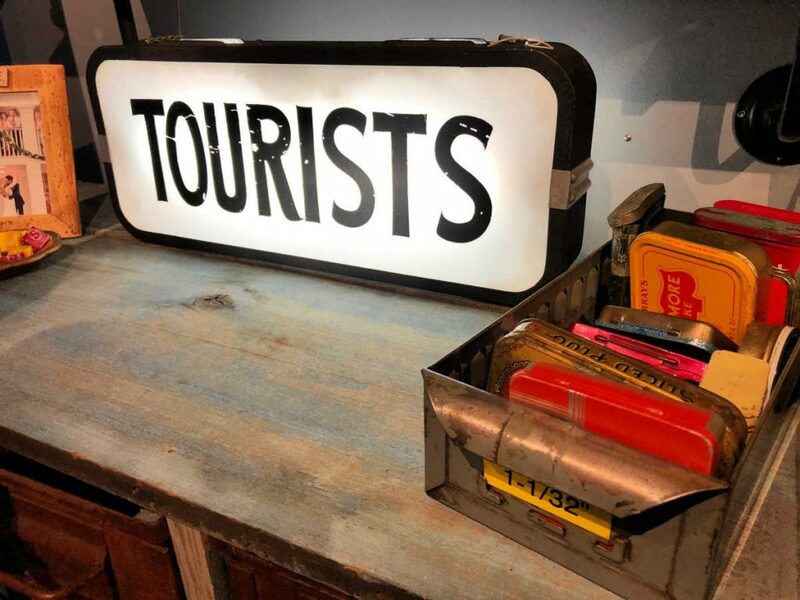 In addition to a couple of the places to eat and drink on this list, today you’ll find local shops selling antiques, vintage clothes, and hand-crafted gifts among other items. The neighborhood also hosts a number of festivals. 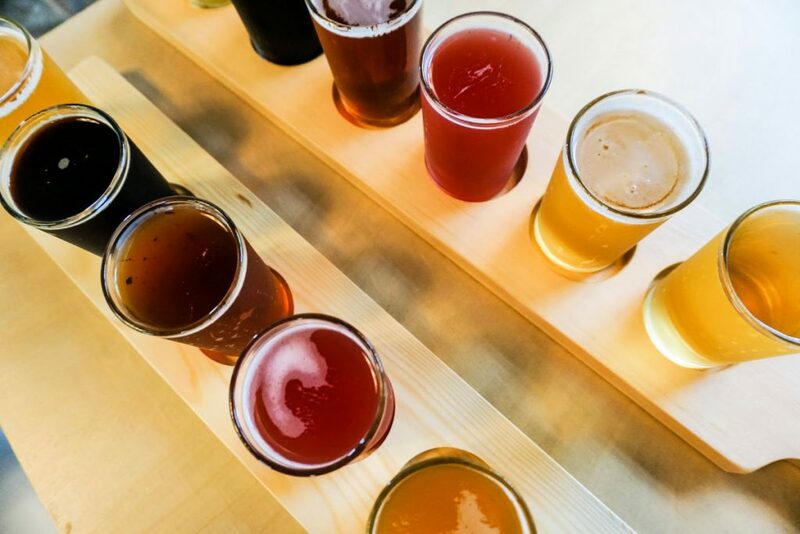 Most notably, those events include the Michigan Brewers Guild Summer Beer Festival and Michigan ElvisFest — both of which take place in July. 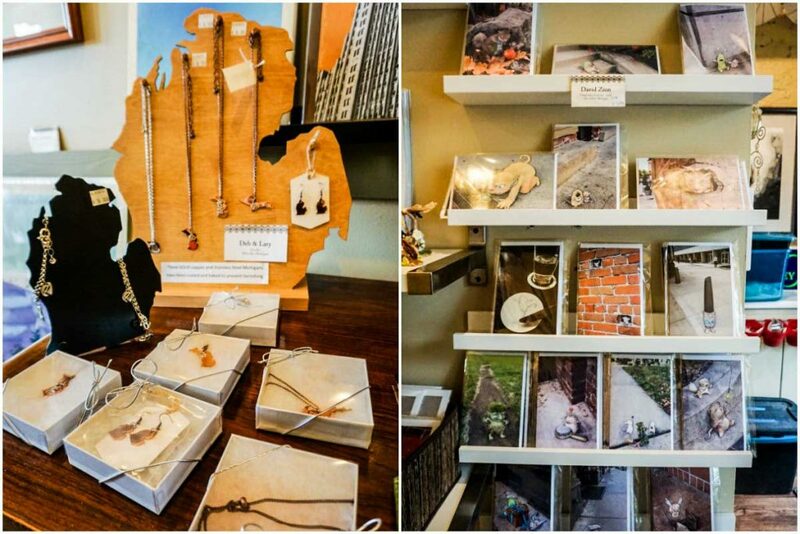 This art and gift shop is a Michigan artisan market. 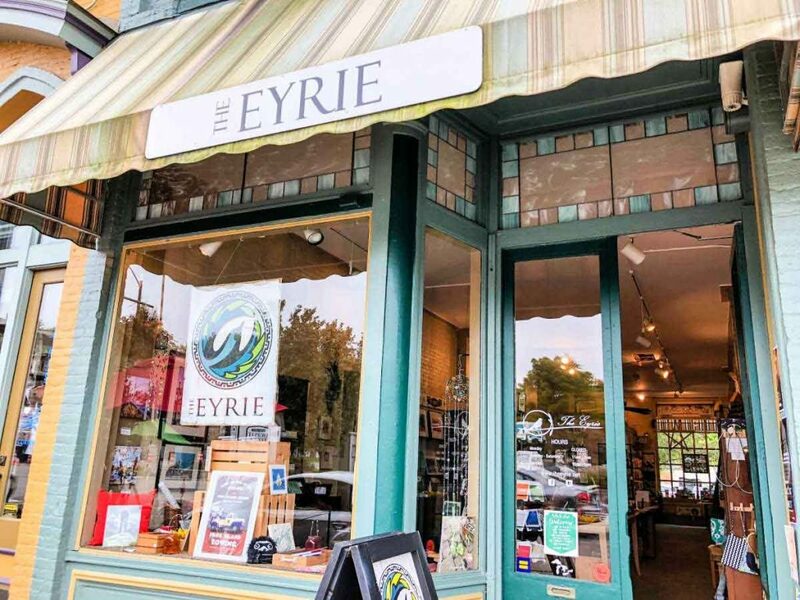 Carrying hand-crafted goods created by more than 150 Michigan artisans, the Eyrie sells photographs, jewelry and accessories, paintings, home decor, pottery, blown glass, candles, soap, and handmade greeting cards. Since the inventory is constantly changing, you’ll find new items each time you shop here. 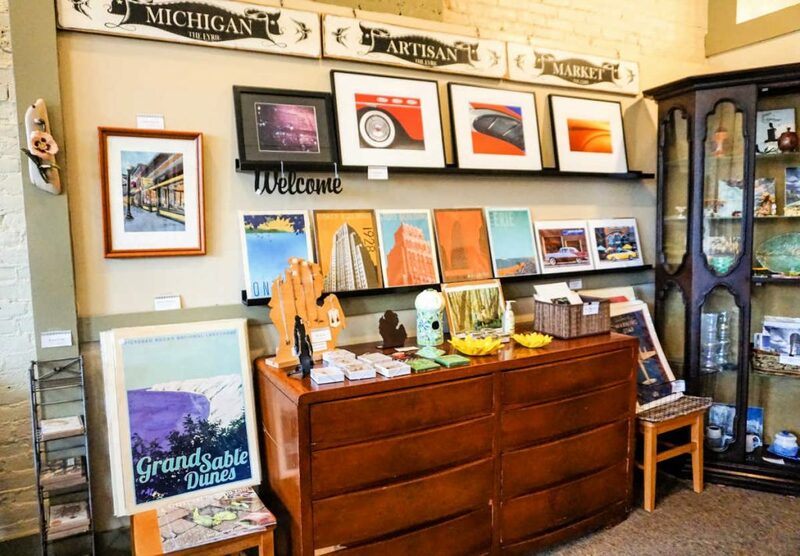 The Michigan-themed artwork would make great souvenirs to remember your visit to Ypsilanti and Ann Arbor! The Eyrie is located at 50 East Cross Street. This boutique shop is bringing back the old general store — but with an updated twist for the modern-day shopper. 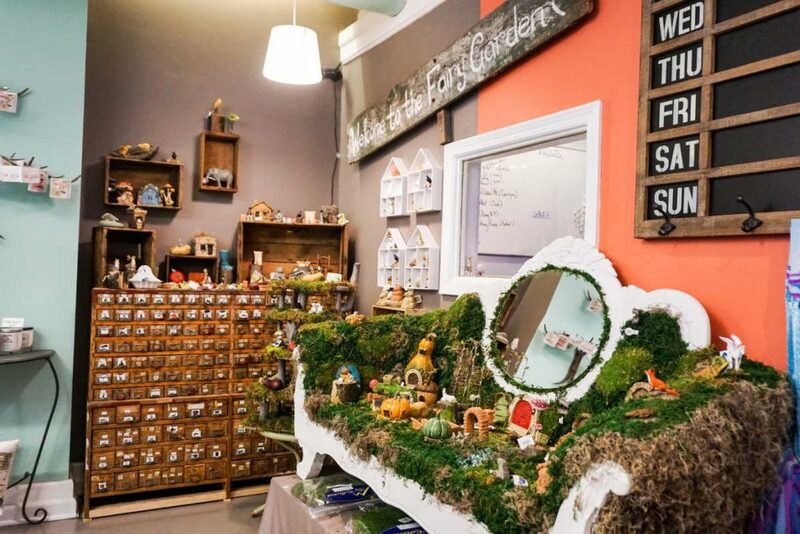 Browsing the store, you’ll find home decor, bath and beauty products, clothing, jewelry, and items you’d have once found at a traditional general store. 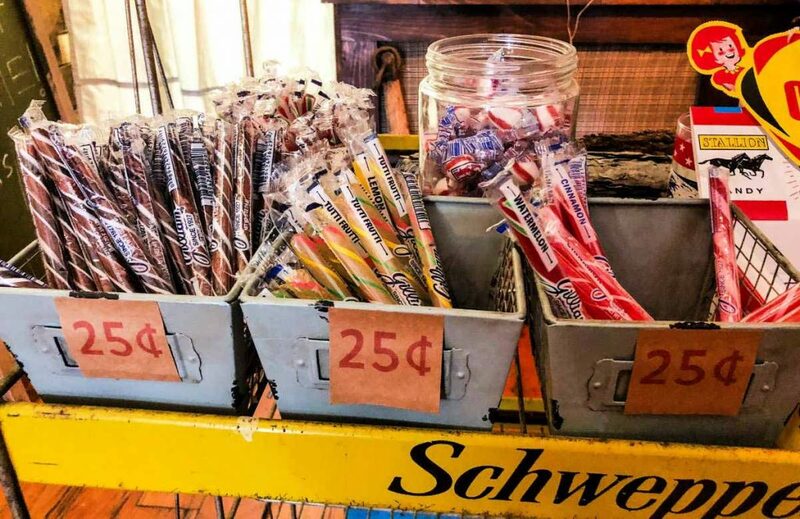 Don’t miss the 25-cent candy! 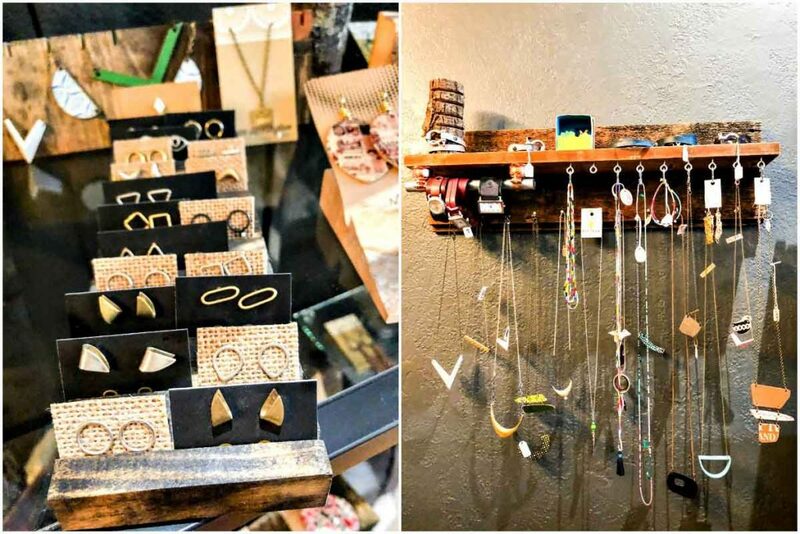 Additionally, the couple who owns the shop strives to stock goods from other small businesses and independent makers and artisans, so you’ll see some hand-crafted and locally-made items here, too. Brick & Mortar Modern General Store is located at 21 East Cross Street. Wondering where to eat in Ypsilanti? Ollie Food + Spirits should definitely be on your itinerary. 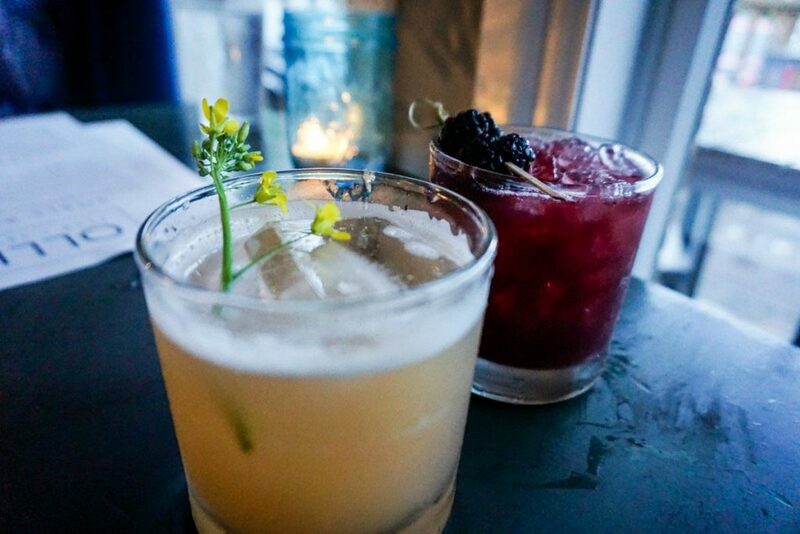 Located in Depot Town, Ollie Food + Spirits offers a seasonal menu showcasing fresh, locally-sourced ingredients and fantastic craft cocktails. With plenty of options for vegans and vegetarians, all diners will find a mouthwatering dish at Ollie Food + Spirits. When my boyfriend and I dined here in the spring, we were blown away by the inventive cocktails. From our lamb meatball appetizer, which is one of the prettiest meat dishes I’ve ever seen, to the daily dessert special, our meal was full of flavor. If you don’t have to time to dine here for dinner or Sunday brunch, definitely stop into the bar for a round of drinks. In addition to the fabulous cocktails, you’ll find a nice selection of wines and craft beers. Ollie Food + Spirits is located at 42 East Cross Street. 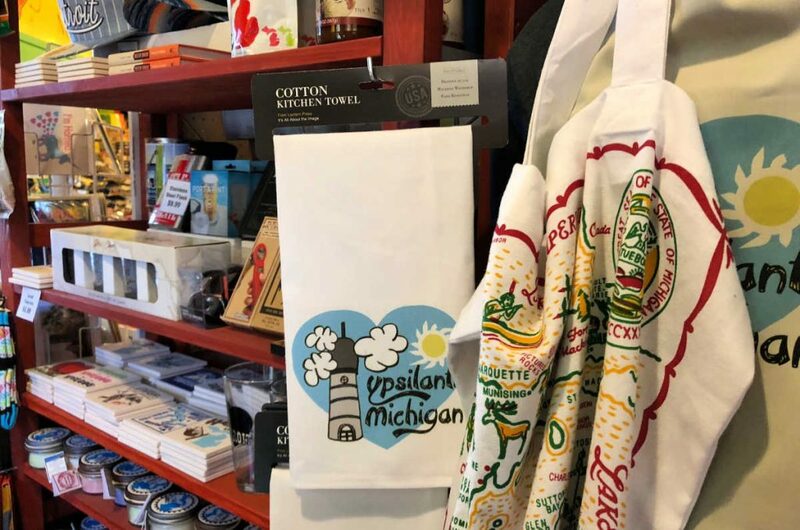 Novelty gifts, vintage clothing and home decor, and old records are just a few things you’ll find at the downtown Ypsilanti shops. 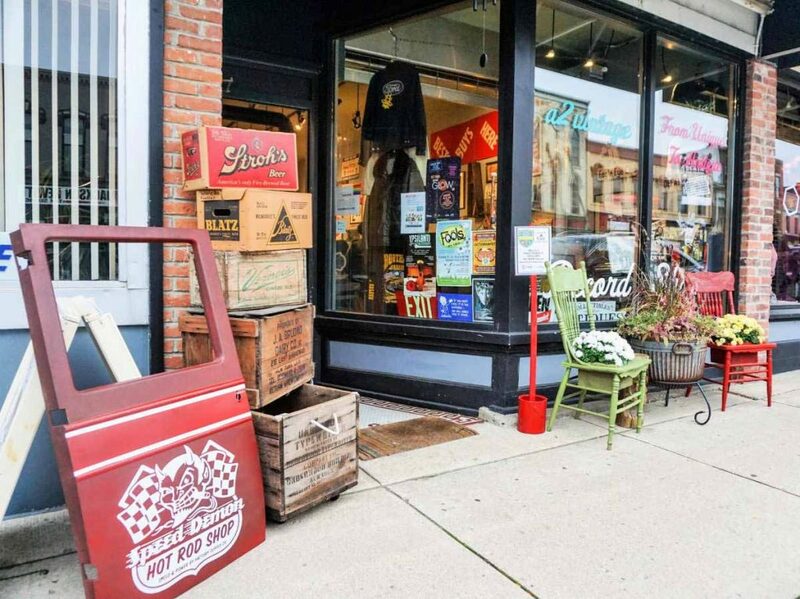 One of the best times to shop in Ypsilanti is the first Friday evening of each month. During First Fridays, many shops and restaurants will have live musical entertainment, an activity or craft, free libations, and/or hors d’oeuvres. Below I’ve listed four shops you absolutely must browse during your visit! 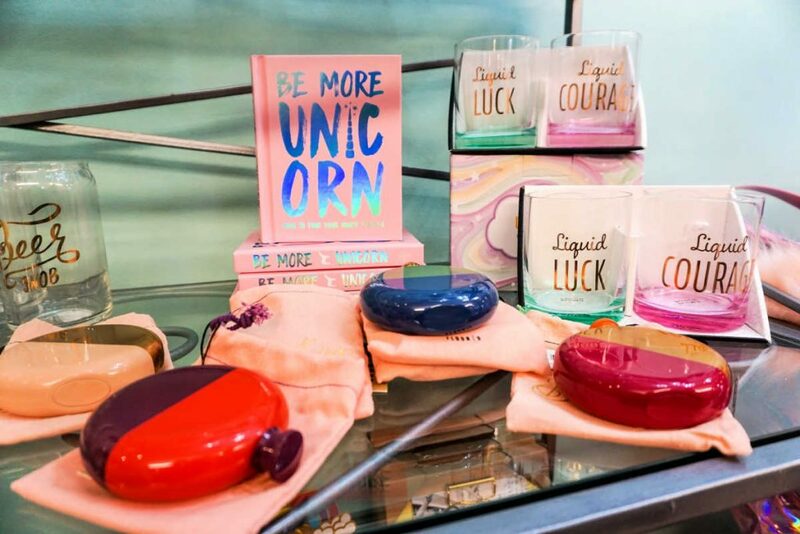 Fun for all ages and super nostalgic for those of us who grew up obsessed with Lisa Frank merchandise, Unicorn Feed & Supply celebrates all that is sparkly and magical. Need a fairy garden? PRIDE gear? Zany socks? Mermaid party decor? 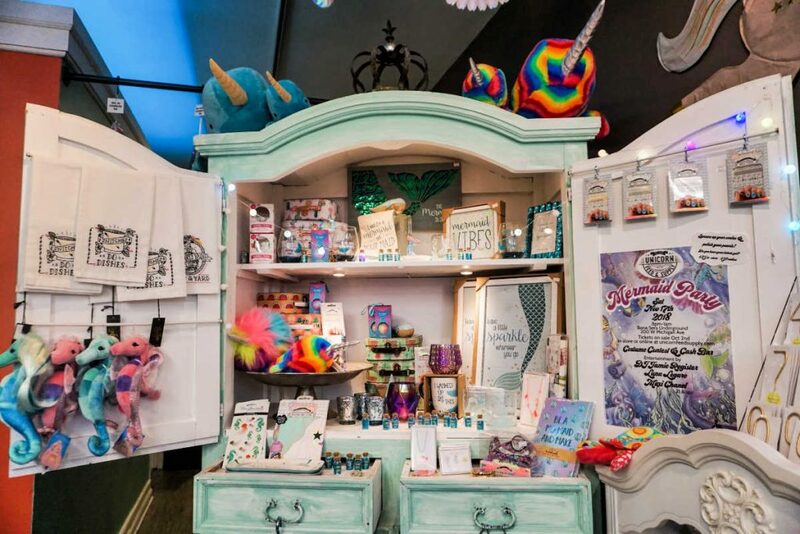 You will find it all in this wonderfully whimsical shop. 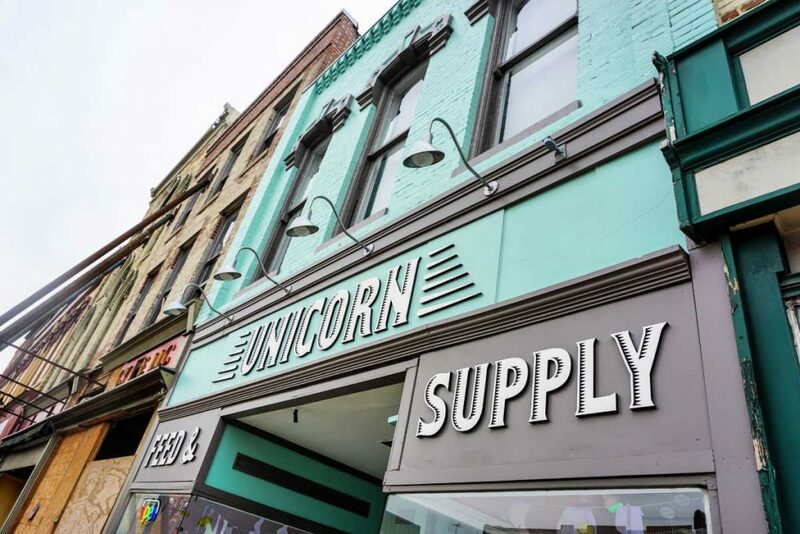 Unicorn Feed & Supply is located at 114 West Michigan Avenue. 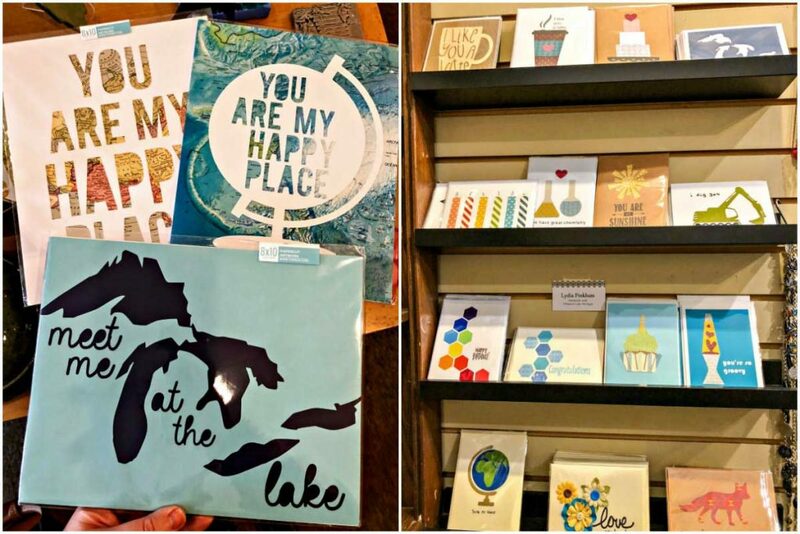 Obscure novelty gifts, hilarious holiday cards, Michigan-themed merchandise (perfect for souvenirs), and a wide variety of candy are just some of the things you’ll find at The Rocket. 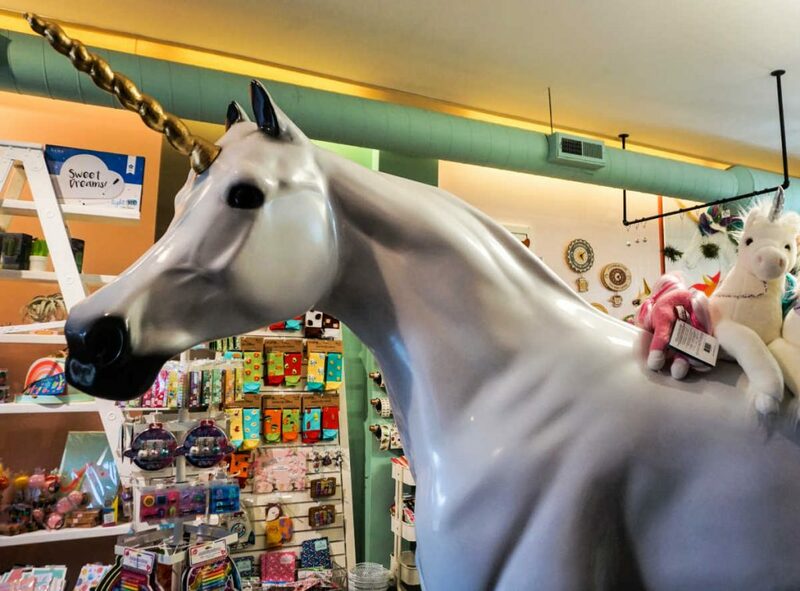 Your senses may go into overdrive with so much to see in one store! The Rocket is located at 122 West Michigan Avenue. 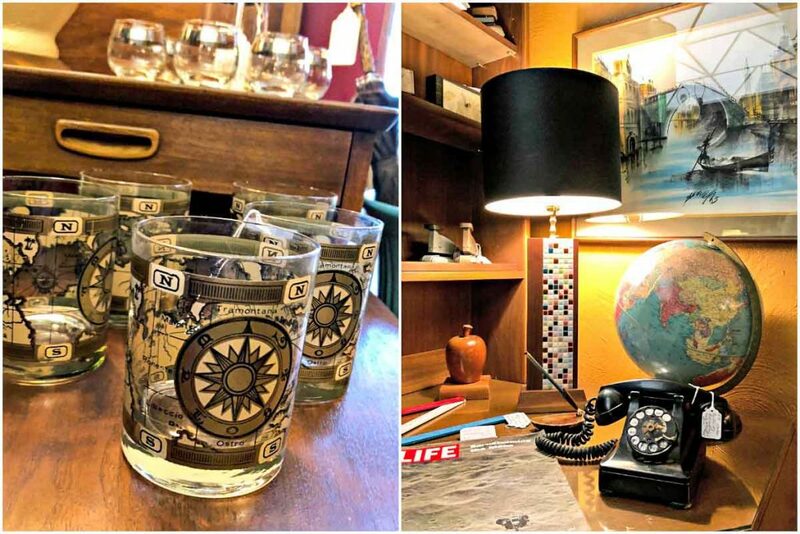 Specializing in mid-century decor, browsing Salt City Antiques is like walking through a “Mad Men” set. 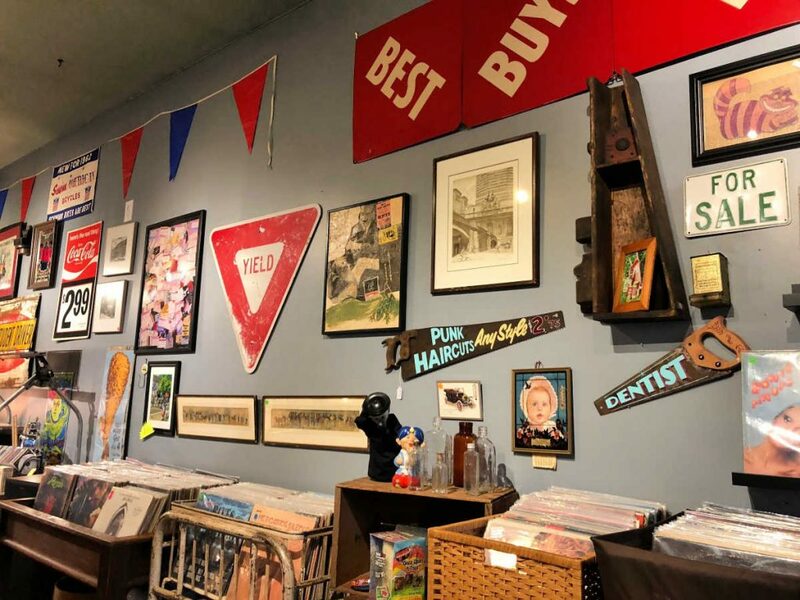 For baby boomers like my mom — with whom I visited Salt City Antiques — seeing the store’s relics from the 1950s-1970s is a nostalgic walk down memory lane. 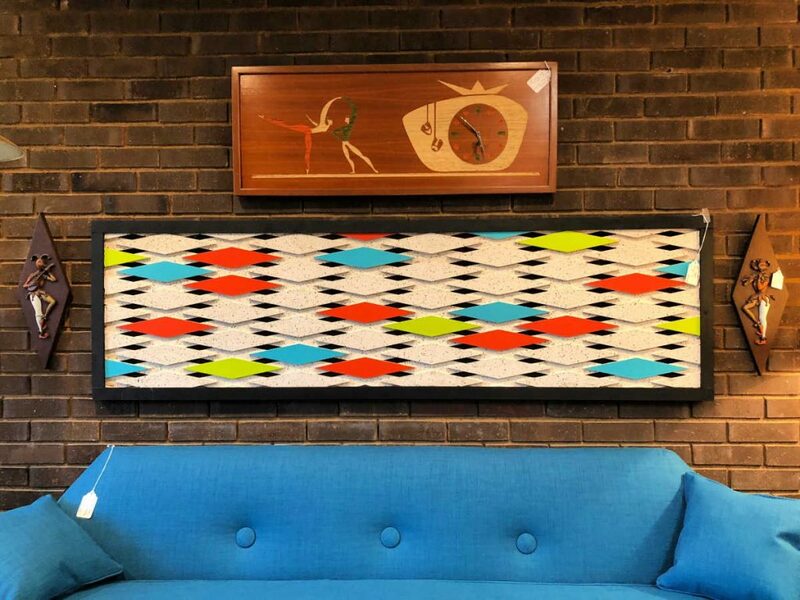 Certainly, if you want to outfit your home in mid-century modern stylings, this is just the shop for you. You’ll also some vintage clothing and accessories from that era, too. Salt City Antiques is located at 115 West Michigan Avenue. 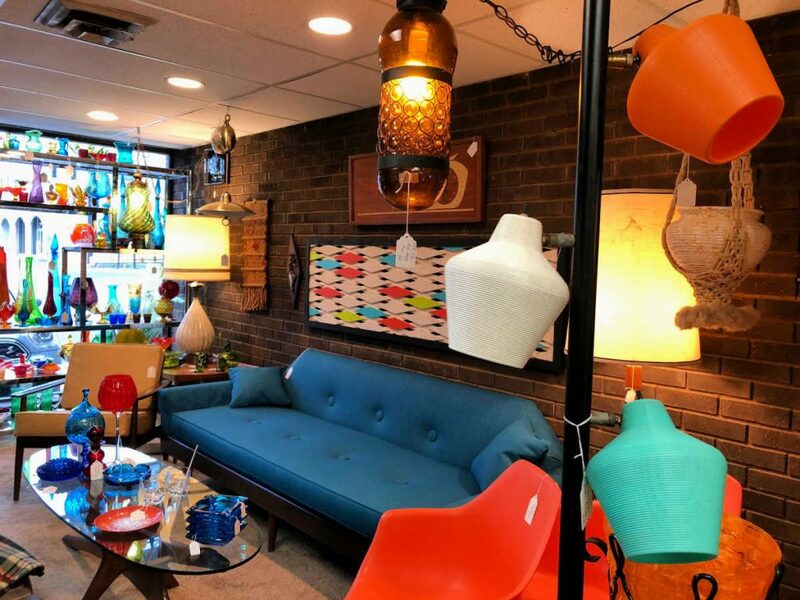 Collectable art, furniture, and vinyl records are what you’ll find at A2 Vintage. The collection of albums is unreal, and the owner will let you take a listen on the store’s record player, if you ask. A2 Vintage is located at 109 West Michigan Avenue. Another must for foodies visiting Ypsilanti is Ma Lou’s Fried Chicken. The menu keeps it pretty simple, but with fried chicken as juicy as Ma Lou’s, you won’t need much else. I would recommend getting a chicken sandwich. Opting for the OG, mine was a fried chicken breast (though you could opt for thigh), cheddar, smoked gouda, slaw, and pickles on an onion roll. 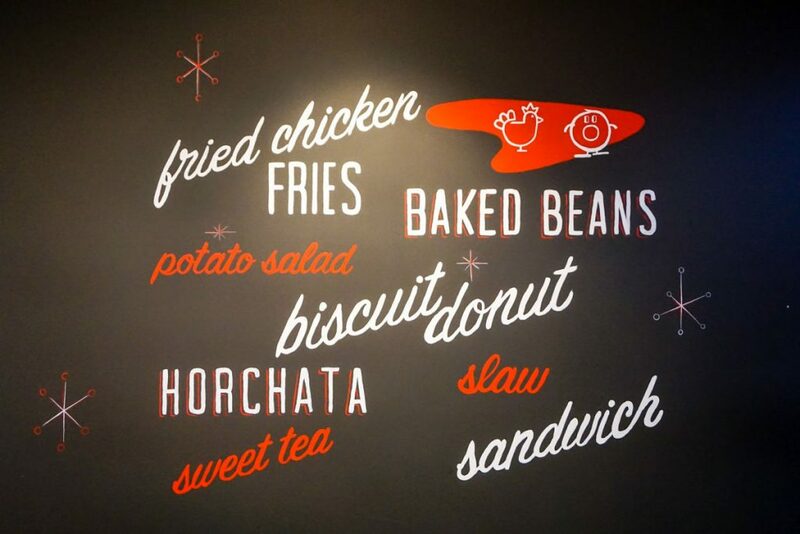 Like your chicken sandwich Nashville-style hot? Ma Lou’s can certainly bring the heat. If hot and spicy is not for you, order your sandwich southern style like I did. Either way, you won’t go wrong. Vegetarians, Ma Lou’s also offers marinated tofu as a protein option. Next, we need to talk about the sides. The house potato salad and coleslaw are delicious, but you might also want to inquire about seasonal options. During the early fall, we got a pickled watermelon and cucumber salad that was really refreshing. Not in the mood for a sandwich? That’s ok! 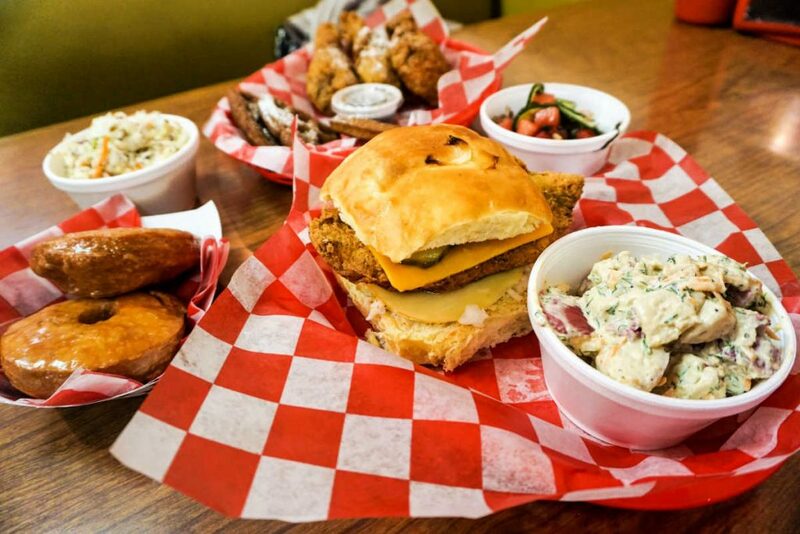 Ma Lou’s also offers chicken and waffles, chicken by the piece, panko-breaded chicken fries, and wings. No matter what you order, you must save room for a biscuit donut! Ma Lou’s Fried Chicken is located at 15 West Michigan Avenue. 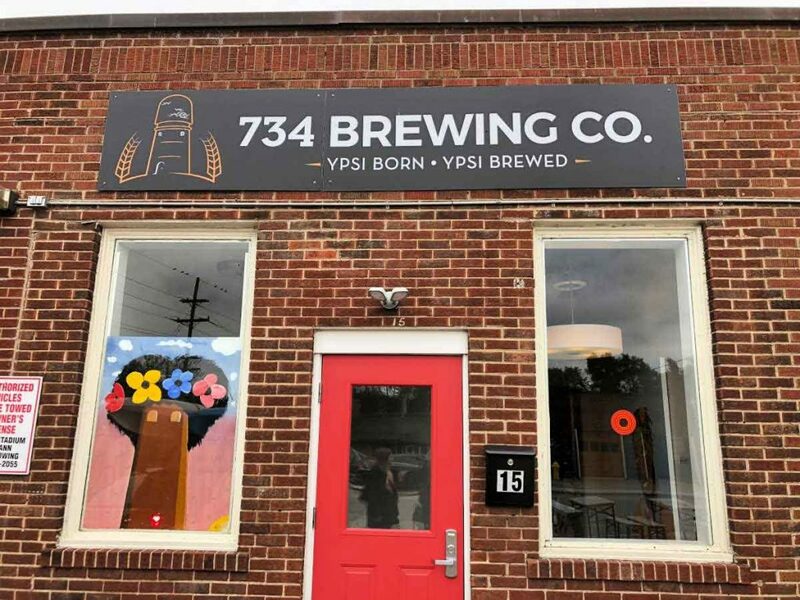 Open from noon until 2 a.m. daily, 734 Brewing Company is the place to sip a locally-brewed craft beer in Ypsilanti. 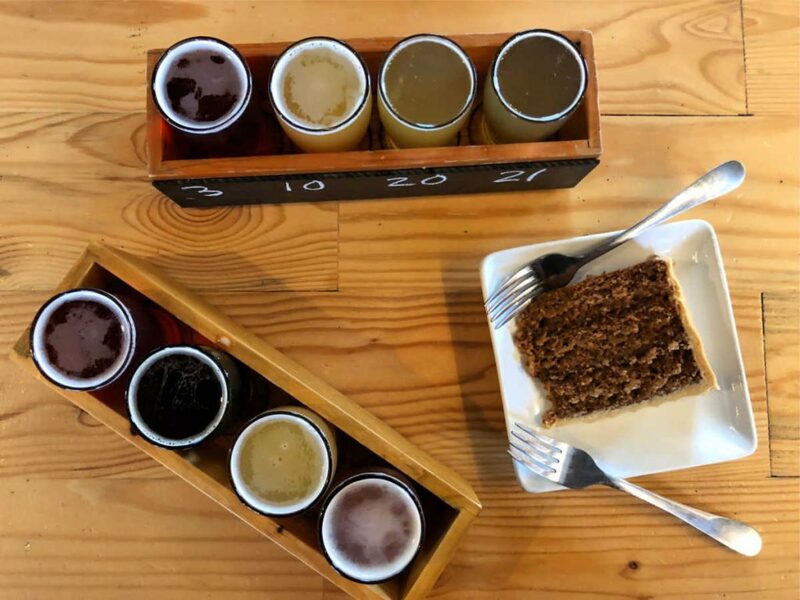 Located in Depot Town, the brewery strives to make quality, unpretentious beers accessible to everyone (of legal drinking age, of course) — even in “forgotten communities.” Actually, even visitors not yet 21 can enjoy the root beer made in-house. 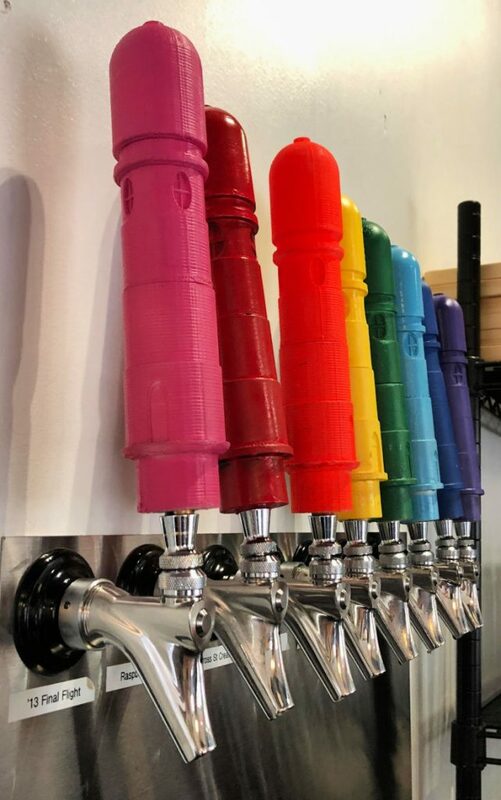 For those of us 21 and older, your tasting flight will be poured from a rainbow of tap handles shaped like the Ypsilanti Water Tower. I highly recommend the Cross Street Raspberry, a raspberry cream ale, and Oh Four!, an oatmeal stout. 734 Brewing Company is located at 15 East Cross Street. When visiting Ann Arbor for a weekend getaway, I highly recommend you carve out a little time to explore the college town to the east. 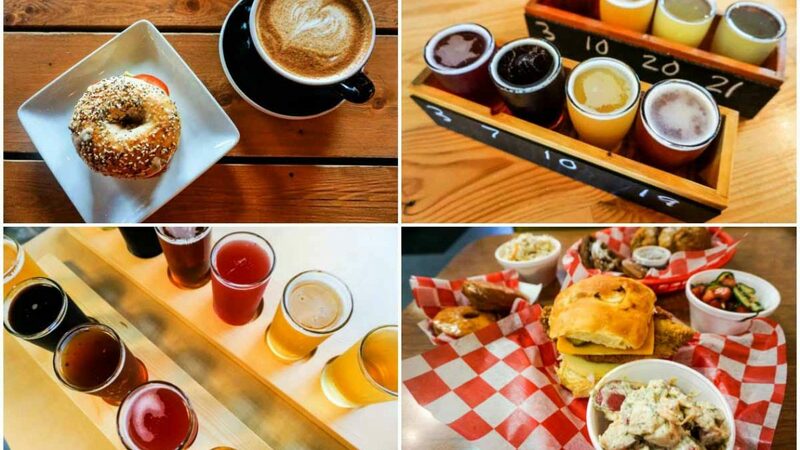 In Ypsilanti, you’ll discover a destination a bit more off the beaten path, local businesses that are giving back to and supporting their community, and some darn good, delicious eats and drinks, my friends. 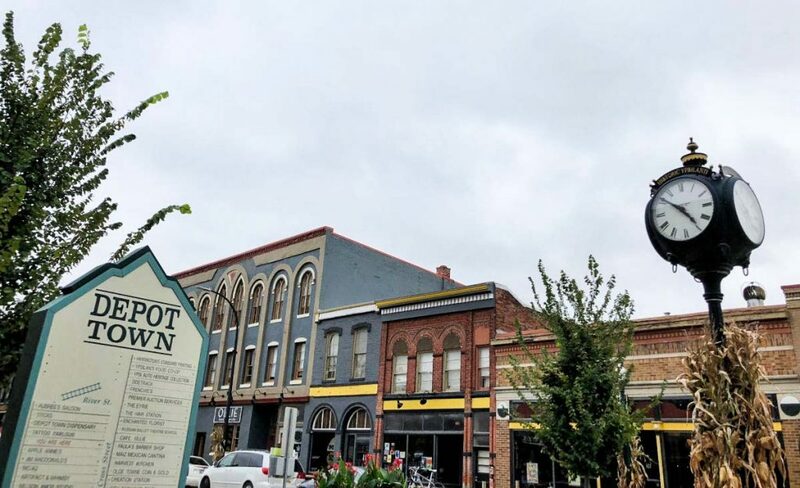 How would you spend one day in Ypsilanti, Michigan? Thank you so much, this is amazing information. We are coming to visit and staying in Ypsilanti all the way from Central West NSW, Australia! Our daughter is attending college there. Can not wait to arrive in a few weeks! Your photos always make me hungry 🙂 This town sounds like my kind of place! Looks/sounds like a great little town! I’m from Ohio and had no idea Ypsilanti was so close to Ann Arbor! The vintage/antique stores look fab, and the food and drinks, too! WOW, what an awesome list! I haven’t been to Ypsi in forever and now I totally want to go and explore! Looks like there are so many new and great places and eats to try! You’re right, I had only ever heard of Ann Arbor! 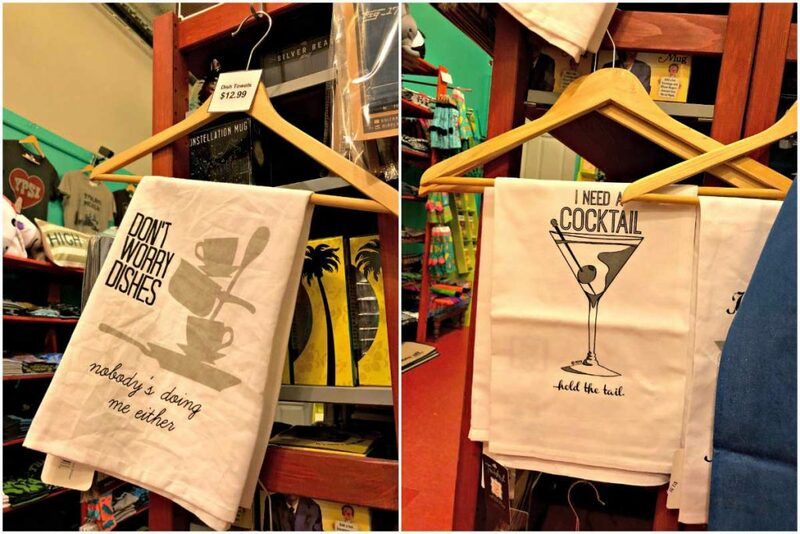 Love all of these cute shops, especially the General Store. Browsing these shops was so entertaining, Carmen. 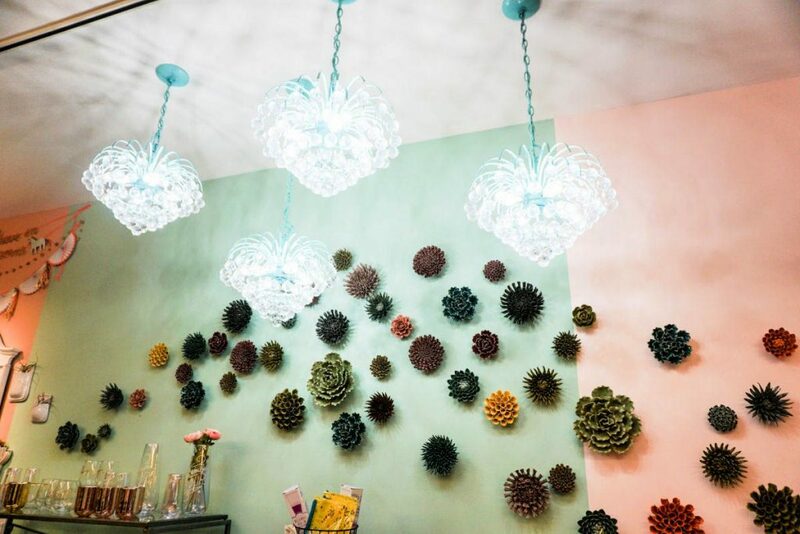 The Brick & Mortar Modern General Store is such a fun, hip, and funky space. Being a Michigander, I really appreciated all the local goods they carry. I ended up purchasing a Pumpkin Spice scented soy candle made here in the Great Lakes State. I burned it throughout this fall! I saw the title and read to find out where Ypsilanti is… Michigan would not have been my first guess lol. It looks like a such a cute artsy town. Lol, I’m glad the title left a little intrigue! Ypsilanti, along with neighboring Ann Arbor, is definitely an artsy destination. I think that is seen at The Eyrie. It’s rare to see a whole store dedicated to selling artisan goods, especially all sourced locally from one state. Any day with such delicious food and drinks is a good one in my book! 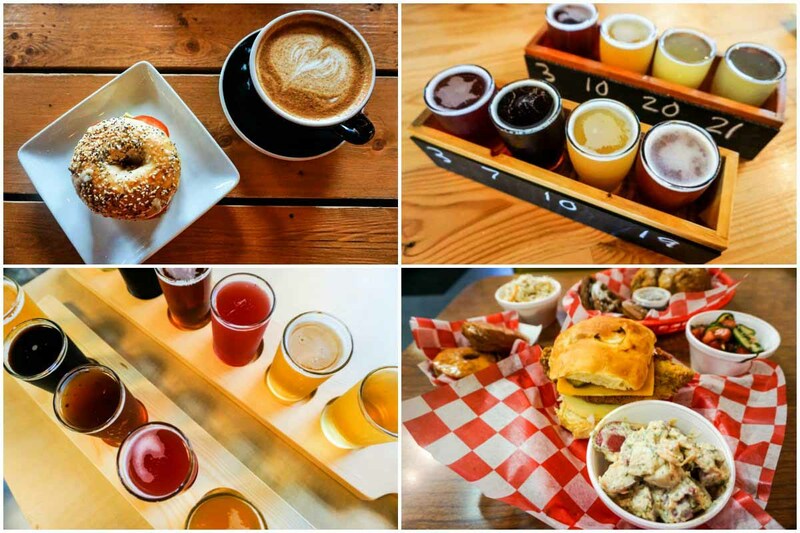 I really need to make my way over to Ann Arbor–I usually hit up other towns in Michigan but you have me convinced to give it a try! Amanda, I think you’ll end up loving the college town charm of Ann Arbor. When you visit, try to get over to Ypsilanti, too. 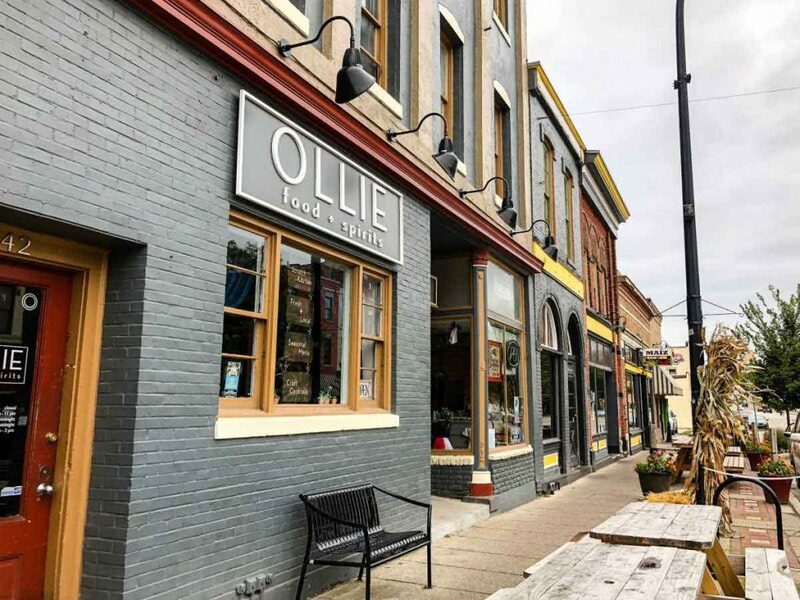 Ypsi is also a college town, but with a different vibe. Both have great shopping and dining, too! I am such a travel bug, but I have never been to Michigan. A friend of mine always wants me to visit her, but I can never find time. This post gives me so much inspiration! Adding it to my “much visit 2019” list! Come visit the Mitten, Gena! When you do, I’ll happily send over recommendations for my favorite places. Just let me know! Ypsi (cute name BTW) is about the same size as my husband’s hometown which is also a college town. So I can totally relate to your finds! I always liked the shortened version of Ypsilanti’s name. Now that I think about it, my college town was also around this size — at least population-wise. Though there is certainly more to do around Ypsi and Ann Arbor than up in Mt. Pleasant, MI, where I went to college. Sides are underrated fullstop. I have a new bucket list item now, a pickled watermelon and cucumber salad!! For real, Alan! Sometimes the sides even outshine the main dish, but here the OG Sandwich was still the hero of my meal.